Home of the remains of the Berlin Wall, Berlin is a city of medieval beauty, baroque architecture, and a deep history. Get inspired by the many museums and galleries, admire the grand buildings, and be captivated by the momentous streets. As one can expect, Berlin's history is impregnated in every attraction, building, and monument throughout the city. The Berlin Wall's remains are now an architectural museum and the canvas for graffiti art. Germany’s capital, dating back to the 13th century, has had a turbulent past that can still be felt throughout the city. Other fascinating attractions include the Brandenburg Gate, Reichstag Building, and Museum Island. See Berlin by foot and save a few euros on the way. The best way to get a chance to see Berlin and learn about its history is by joining one of the free walking tours offered throughout the city. Berlin has a wide variety of free walking tours. Below are our top three. The Original Berlin Tour offers a free walking tour of Berlin and its top sights and attractions. This tour provides an introduction to the incredible city, for tourists, travellers, expats, and locals. The duration of the tour is 3 hours and given in English only. Familiarize yourself with Berlin's history and listen to stories of past wars, legends, and more. This is the perfect tour for the Berlin beginner! Features include The Reichstag, The Berliner Dom, and the WWII Battlefields. This 3-hour tour is perfect for those who want to experience something different. 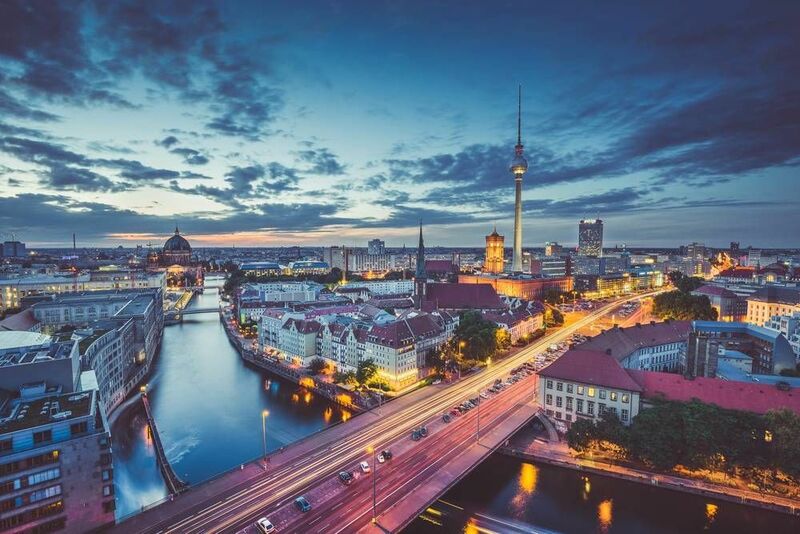 See Berlin through different eyes by visiting their underground sights and attractions, learning about their world-famous street art, and learning about the graffiti culture in Berlin. Stop by some of the favourite local hangouts and multicultural neighbourhoods to see what the real Berlin is all about. Are you from Berlin and want to be a tour guide? Please get in touch by submitting your details on this page!